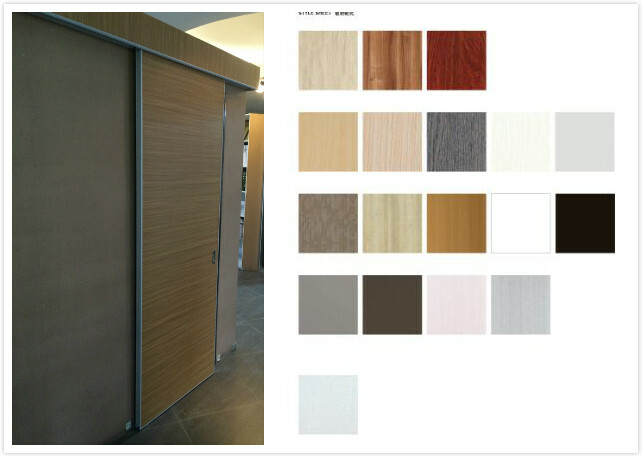 Different from traditional wooden bedroom door ,Samekom bedroom sliding doors is using aluminum frame ,which can make our doors easier to install while accepting a taller and wider opening . With the wooden melamine or HPL pattern ,they add flowing personality for this interior door, which can be highlighted with silver strip molding. Not only does the door look great with the melamine or HPL finish, but it is also made using aluminum tube and aluminum honeycomb technology for improved impact resitance. With the aluminum capping design ,the bed room doors are also can be water resistance with melamine facing and even waterproof and fireproof with HPL facing . Shipping:Door-door or Door-cy service are available.